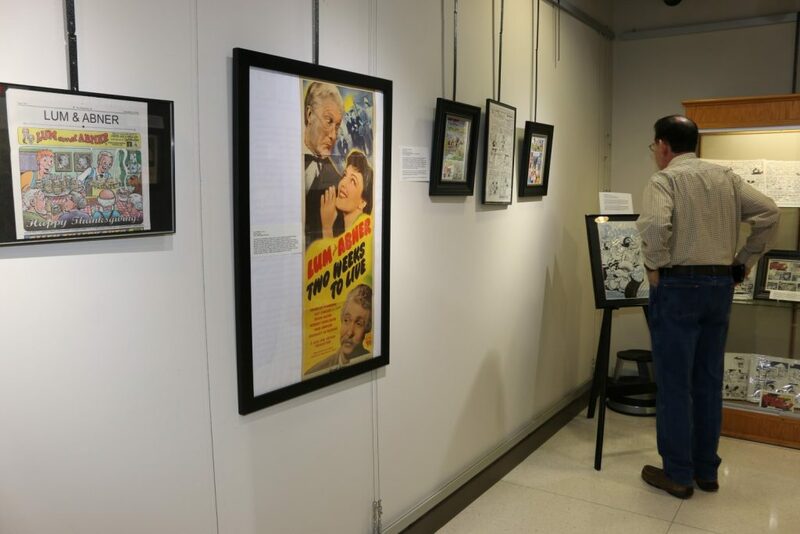 Friends, you have about two more weeks to see Donnie Pitchford’s “Wonderful World of Comics” exhibit at Panola College in Carthage, Texas! 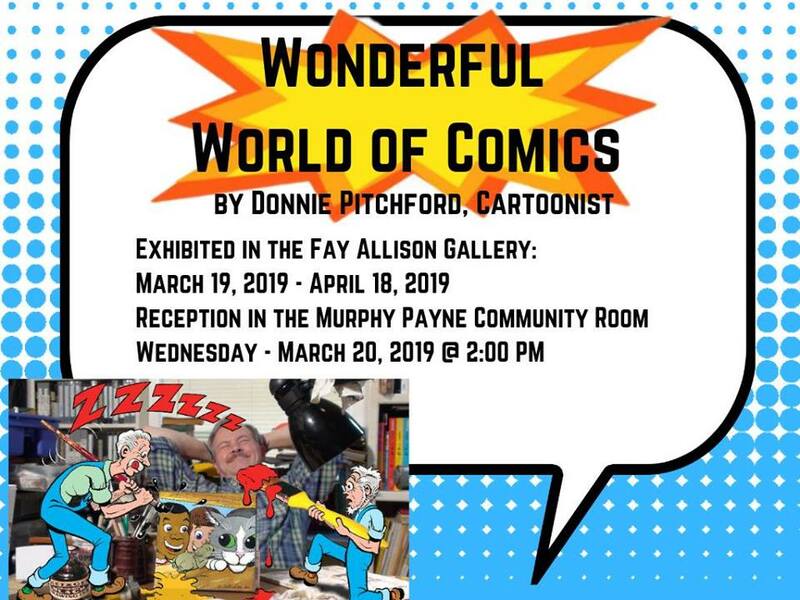 If you can’t make it, tell your friends! Maybe Donnie will give you the deluxe tour while you’re there. 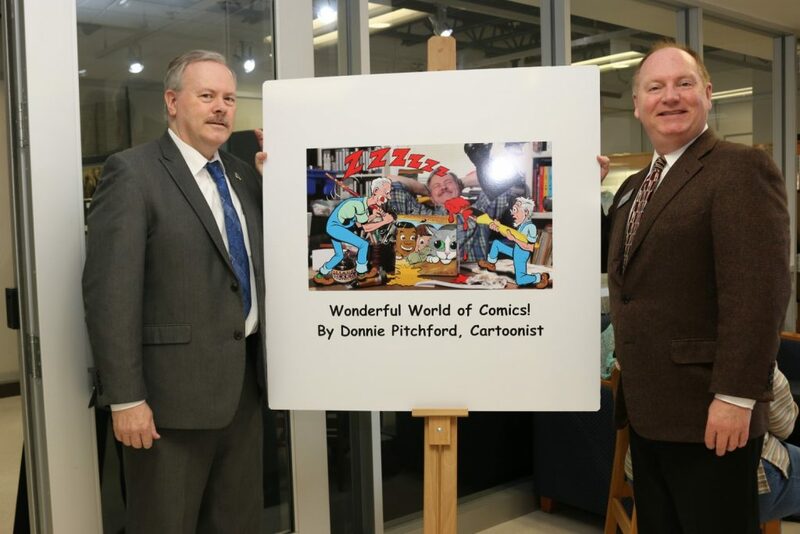 Donnie Pitchford, left, with Dr. Greg Powell, Panola College President, at the opening .